The City of Vancouver’s website has recently undergone a major upgrade. Many links to Bulletins from our website will, as a result, now display a custom error page. If you happen to come across this, simply type former. (the dot is important) ahead of vancouver in your browser’s address bar, and it should open the proper document. We’ll endeavour to update all of our links once the COV Web-Minions get finished fixing theirs! Please contact us by calling the number above or by clicking the email link! How many bells can you connect to a Class “B” signalling circuit? The property management company has contracted someone to install red fire alarm bells outside of my building. Is that legal? In some shopping malls, the fire alarm system for the common areas of the mall is different from the fire alarm systems located in some of the bigger anchor-type tenants stores. Must these systems be interconnected with each other? Should a fire alarm in one of the larger tenant spaces activate the mall’s fire alarm system (and visa-versa)? In Canada, are there fire alarm systems or devices that use purple wires? How can I determine what the electrician wired as positive and what is negative when terminating a combination horn/strobe where the field wiring is using the “brown” and “blue” conductors? Can a class “A” circuit employ “T”-taps? What’s the maximum distance allowed between a tamper switch & an addressable monitor module? How many speakers can you install (wire up) on a speaker circuit? Can you use a NAC (Notification Appliance Circuit) to trigger a relay for door release (or to perform other ancillary functions)? Can wiring for a fire alarm system be run through the same hole cored for fire sprinkler pipe? Can wire for Emergency Voice Communication (EVC) speakers be run in the same conduit as the fire alarm system Data Communication Link (DCL) or Signaling Line Circuit (SLC)? Do fire alarm bells have to be compatible with the fire alarm control like smoke detectors do (are fire alarm bells required to be cross-listed for use with a specific fire alarm control unit)? How high should an end-of-line resistor be mounted? Can you review the relevant Code requirement for the installation of signalling circuits in a residential or care occupancy? Is wiring to an annunciator panel required to be fire rated? Do I need to install twisted, shielded cable for the interconnection between networked fire alarm panels? Can I install a heat detector by myself? Are signal circuit fault isolators required to be installed for suites of a residential (or care) occupancy? How far from a wall does a fire alarm isolator need to be? Can you mix Class “A” with Class “B” circuits on a fire alarm system? Can a Class “B” wired fire alarm system support horns? Do relays for a fire alarm system need to be ULC Listed for fire alarm application? Do speakers that are part of a fire alarm emergency voice communication system or other audible signal devices (horns, buzzers, bells) have to be placed in every office or room in a commercial building? CAN/ULC-S524-06 has been amended. My copy was purchased before February 2011. How can I update my copy to include the amendment? Can an Engineer approve the reduction of the number of required heat detectors in a given area? What’s the correct end-of-line resistor to use with a System Sensor C2W-BA smoke detector? How many fire alarm bells are there in a typical elevator hoist way? How do you terminate shielded cable in a manual pull station (or other field device)? What’s the difference in price between a proprietary and non-proprietary fire alarm system? Where can I find the testing form for the Canadian Fire Alarm Installation Standard (CAN/ULC-S524)? If a fire alarm system is not required, can I still install one in my building and, if so, is what I install required to meet the Ontario Building Code? What do you think about the application of Linear Heat Detection in an unheated attic (+30 to -40 Celsius)? The attic is going to be sprayed with fire retardant coating which will prevent the spread of fire, but we think a practical solution for detection is paramount. Conventional heat detectors are going to be a little bit hard to access for the purposes of annual testing. Please let me know what kind of engineering solution can be suitable for this situation. PS. Is it costly to connect linear heat detection to a Mircom FX-2000, or any other major panel? Can you run power and DCL (SLC) wires together in the same conduit (raceway)? Where shielded pair cable has been specified, can I use BX (flexible armour sheathed) cable? Why must proper polarity be observed when installing signal devices for a fire alarm system? What is the maximum wire length you can run to and from a smoke detector in the same conduit? Can green wire be used to connect fire alarm circuits? In Canada, is a ground wire required on a fire alarm system in which rigid EMT (conduit) is used? Can I use UL Listed wire on a Canadian fire alarm installation? Does an isolation module go before or after the next floor? How many flow switches can be put on one fire alarm panel zone? Is it permissible to use a "normally closed" switch to monitor a "trouble" condition on a fire alarm system? Does every device connected to a fire alarm system in Canada have to be ULC Listed? Can a fire alarm system annunciator be installed outside on an exterior wall (in Canada)? What testing should be done before field wiring connections are terminated in a fire alarm panel? How many devices can be "T" tapped on a fire alarm system? What's the maximum allowable mounting height for a fire alarm control panel? Are you allowed to run fire alarm input and output circuits in same conduit (or wire raceway)? How do you properly connect two fire alarm panels together? When you're upgrading a fire alarm system from a conventional control and devices to a fully addressable system (with analogue devices), do you have to follow today's fire code to ensure everything passes? Can end-of-line resistors (for multiple circuits in a room or area) be mounted in one box? When connecting the heater of an outdoor fire alarm annunciator, is it acceptable to tie into the fire alarm system’s power supply (circuit disconnecting means)? How do you tie in (interconnect) door holders on a fire alarm system? How many sprinkler tampers can you legally hook up to a single fire alarm supervisory zone? Can you review the relevant codes regarding the installation of in-suite signaling appliances? Can security wires be run with fire alarm wires in Canada? Does the fire alarm circuit disconnecting means have to be painted "red" and locked "on"? An Electrical Engineer is insisting on locating conduit entries into the common control in an area of the cabinet that the manufacturer's installation instructions stipulate is reserved for non-power limited wire (AC and municipal tie). Can you review the requirements of CAN/ULC-S524 (and relevant codes) and advise? How many initiating devices can you have on a fire alarm system? Are there any fire alarm relays listed for tripping from a notification circuit? What's the Code say about monitoring sprinkler valves? Where should a fire alarm control panel be installed? How do you add an isolator module to an existing fire alarm panel? Is it permissible to have different audible signal devices in the same building? What is the maximum mounting height for a fire alarm pull station in Vancouver? Can fire alarm wiring be painted? Do you require a class "A" circuit for a fire alarm emergency communications riser? Is it permissible to use a UL® listed fire alarm device on a Canadian system even if they're both made by the same manufacturer? Does the Ontario Building Code allow for the installation of fault isolation modules above a T-Bar Ceiling? What is the allowable distance between power and non-power (limited) cables? Can 120 VAC power for a fire alarm system be run in the same 1/2" conduit as the AC power for a security system or ULC Listed fire alarm communicator? Where does it state that you can’t install fire alarm devices until the walls are painted? I'm an electrical contractor working in Vancouver on a fire alarm upgrade. We're installing an addressable fire alarm system from a well-known manufacturer with a local office. The subject of wiring for devices attached to the SCL loop as well as the remote annunciator required some clarification from the local rep, who advised that it was perfectly acceptable for us to use non-shielded cable for both. The rep went on to say that since the run to the annunciator is so short, we could even use a single five conductor 18AWG unshielded fire cable to terminate both power and data with no difficulty. My question is: Will this pass the verification test? The installation manual calls for twisted shielded pair to be used on the RS-485 communications loop for the annunciator. We’re replacing an old Edwards Custom 6500 system. We’re planning on using a Mircom FA-1000 control and were wondering if the existing building wiring would be acceptable to use. It’s 20 gauge multi-conductor intercom wiring you see installed in many older buildings. Is this acceptable if all we’re doing is swapping one common control for another, or do we have to pull in all new wiring? If by "power" you mean 120VAC, most definitly NOT! Otherwise, the same provisions as outlined in this FAQ would apply. BX or other styles of armoured cable is not a substitute for actual shielded wire. When a manufacturer calls for its use, you are required to provide it. There are no suitable substitutions allowed (at least in Canada). In most cases the shield must be kept separate from the building's electrical ground, and also remain continuous from the fire alarm panel to the device being connected. The armoured sheath of a BX type cable is, with very few exceptions, grounded whenever it's terminated to a junction or outlet box (at least it should be!). A Notification Appliance Circuit (NAC) or Indicating Circuit is rather unique. It must provide supervision of the devices in the circuit and be able to switch "on" to activate the bells, horns, and strobes that are part of it. To accomplish this, a diode is utilized in each device which will only allow current to flow in one direction. Thus, in supervisory mode, the fire alarm panel will "see" the end-of-line device as a "normal" condition on the NAC but the current required to perform this function won't activate the sounder as the diode will prevent the current from flowing through it. When the fire alarm control goes into alarm, the NAC current is reversed and the sounder or strobe-light is activated. It is common practice to label the NAC and individual notification device terminals in an alarm condition on a fire alarm control. In other words, the positive terminal of the indicating circuit will correlate with the red wire (or positive terminal) of the signaling device (to avoid confusing the guy installing it). Your voltmeter will, however, indicate the reverse when the control panel is in "normal" supervisory mode. On a Class "B" loop you're pretty well restricted to the recommended wire length for the gauge you're using stipulated in a handy wiring table most manufacturer's provide in their installation instructions. Keep in mind that the table they provide is based on the minimum gauge used in the run (even if what you're pulling is heavier). On a Class "A" loop, the rules are a bit more restrictive. CAN/ULC-S524-06 allows you to install both the primary and alternate wiring for a smoke detector in the same conduit as long as the room the detector(s) serves is less than 100 square meters in size. There are a couple of additional exceptions to the rule all of which are illustrated in the section entitled FIGURES just before the Appendix. Yes. You must adhere to the manufacturer's suggested wire type and gauge. No one cares if it's purple, pink, puce, or that pukey green colour that used to adorne the sides of the old Edwards vans. Green wire is normally associated with "ground wire" though. Personally, I would tend to avoid using it for that reason (it's too easy to get confused in some of the smaller enclosures). Every fire alarm device back box must be individually bonded to ground. Fire alarm cable sold in Canada always has an odd number of conductors in the jacket (i.e. 3, 5, 7, 9, etc.). The requirements for bonding non-current carrying metal parts of electrical equipment is called up in Canadian Electrical Code Section 32-104 and stipulates such bonding must be provided in accordance with Section 10. Rigid metallic conduit (includes EMT or flexible) can be used as the bonding means, but Section 10 also proscribes that “electrical continuity of service equipment shall be assured” and that only copper can be used as the grounding conductor in a “wiring system” (Rule 10-802). NOTE: If, during the course of a Verification, you come across a situation where no bonding means has been provided, you must note this as an installation deficiency! You can use UL Listed wire as long as it's also CSA Listed. One word of caution, however. UL Listed fire alarm cable typically does not have a ground wire (you can't order it in "18/3", "18/5", "18/7", etc.). So the answer is quite clear. It goes BEFORE the next floor area. There are a number of different configurations for the various wiring styles as well. These are outlined in the instructions accompanying the module (or in the fire alarm controls installation manual). You can also read more on installation and testing requirements for fault isolation modules in our Special Report. Is it permissible to use a "normally closed" switch to monitor a "trouble" or "supervisory" condition on a fire alarm system? Certainly. Many devices use a normally closed switch: cover tampers on listed sprinkler flow and pressure switches, damper position indicating switches, and valve tamper cords (in some sprinkler rooms) to name a few. In every case, however, the circuit is supervised by an end-of-line resistor which has some very specific installation requirements. Some older fire alarm panels, for instance, are incapable of providing a latching supervisory signal which you will have to document if any changes or additions are made. No. Not everything connected downstream of a fire alarm control (and which is part of a DESIGNED fire alarm system) must be ULC Listed. Many things connected to the relay outputs (often referred to as the “contractor terminals”) don't have to be either listed or supervised. In many instances fire alarm systems are also monitoring (and controlling) things like fans (for stairwell pressurization or parkade exhaust), dampers, and sprinkler heat trace controllers (to name a few). The switches and relays that provide these (and other) specialized functions are often NOT ULC Listed (in Canada they are usually required to be CSA Listed though). Fire alarm DEVICES however (such as smoke detectors, heat detectors, manual stations, horns, bells, etc.) MUST be ULC Listed in Canada (UL in the US). Most definitely! A number of manufacturers provide ULC Listed weather-proof heated enclosures for use in outside environments. Always exercise the appropriate cautions (and some common sense) if you're faced with the requirement to do so. Keep in mind that the annunciator has to be visible (and readable) to the responding authority. I've seen many instances where they have been mounted on a south facing wall and daylight (and sunlight) conditions make them extremely difficult to read. What often happens is that exposure to the sun's U/V rays tends to fade labels at an accelerated rate as well. It is for this reason that you would want to ensure that the unit is sheltered from the elements as much as possible. Covered walk-ways or cupolas with lots of shade make ideal applications. Where you have extremes in temperature, it might also be wise to supervise the output of the power supply for the annunciator heater. Most often this is a 24VAC transformer. Keep in mind that the installation Standard (CAN/ULC-S524-06) requires that listed fire alarm controls and annunciators be maintained in a very specific temperature range (10 - 30 degrees C). What testing should be done before field wiring is terminated in a fire alarm panel? Excellent question! The answer doesn't depend on whether you're terminating field wiring to a new installation or adding to an existing fire alarm system either, and furthermore, I figure that if you have to ask this question, you're not as familiar with the process as you should be and had better remain under expert supervision until you're confident enough with the process to fly on your own. Keep in mind that what I'm about to relate is very general in scope (the manufacturer may have some additional procedures you must employ before you put juice to the panel). The most important test is the one that ensures the fire alarm system is NORMAL in all respects. On a new system (particularly an un-programmed addressable one), this may prove to be somewhat challenging to the uninitiated. You should be familiar enough with the common control display to tell whether the system has booted normally. If you've placed end-of-line resistors across the NAC circuits, you should wind up with a local configuration error caused by un-programmed devices and attached expansion boards. Once the latter have been enrolled in the system, you should have as close to a normal display as you can get without having programmed any addressable field devices. On a conventional panel, I would suggest leaving the end of line resistors in place across both the input and output zones (in other words, don’t terminate any field wiring just yet). Before you power up, you should ensure you've configured everything for operation with all the appropriate jumpers installed (or removed) and any mechanical dip switches set. There may be some additional minor settings that require adjustment or programming, but once the system has been stabilized in the normal condition, you should have a green "AC ON" lamp illuminated along with any appropriate LCD/LED "system normal" display. Try shorting a few initiating zones and observing the responses of the panel. The appropriate alarm, supervisory or trouble relays should change state and the panel status should also change accordingly. Removing an end-of-line resistor should provide a "trouble" response. Grounding one side of any initiating or notification circuit should give you a "ground fault" trouble. Once you have determined that the panel is functioning normally in all respects, you can move on to terminating your field wiring. Before you do however, you should make sure that you're reading the appropriate end-of-line resistance on each incoming wiring pair. You should also check for anything unusual on the field wiring (such as voltage where there shouldn't be). More than one electrical apprentice has accidentally terminated an AC power circuit into a common control (in addition to the one required for the system's operation). You don't want to connect 110VAC to an input or NAC circuit! While you're checking the field wiring for resistance, you can also check for grounds on each circuit. Once you've determined that all is clear, you can start connecting each incoming wire to the appropriate zone terminals. Do this with the panel "hot" so you can pick up on any irregularities right away (devices with reversed polarities, for instance). This last bit also serves to remind me that I should mention that you should ensure any attached field devices have been properly terminated (nothing is more bothersome than to have one device on a circuit with reversed polarity). The "DCL" (or "SLC") loop wiring interconnects all of the addressable field devices on the system. The main difference between these types of systems and the conventional wired panel is that end-of-line devices aren't commonly seen (except on actual input modules or home-run NAC circuits). You should still check for shorts across the loops, however. You should test any NAC circuits the same way I've outlined for conventional panels. Also make sure you don't have any grounded wires and, on SLC loop wiring that employs a shield, make sure there's no continuity between the shield drain wire and the system ground or loop wiring. A quick way to test the integrity of the shield in the whole system is to short the shield wire at the last device in the circuit to one of the loop wires and then test for continuity (use the common loop wire because it's normally a "straight through" connection). If your meter reads "open", your shield is not continuous. First of all, a "T" tap is a type of connection in which more than two wires are joined at the same terminal (or wire nut). A "T" tap is essentially a "parallel" type of connection and that means that this question actually has two answers. On a conventional system - NONE. On an addressable system - Check the manufacturer's installation instructions. Many will limit the number of "T" taps allowed on a single circuit and may impose additional constraints as well. When in doubt, “RTFM” (Read the Freakin' Manual)! You are also restricted from running initiation and signaling circuits in the same cable assembly. LARGE NETWORK SYSTEMS will usually require two conductor twisted shielded cable in a Class "A" configuration. We would suggest that hooking TWO CONVENTIONAL PANELS together so that they monitor each other for "trouble", "supervisory" and "alarm" conditions (all of which are required under the present Building Code) requires two separate runs of five conductor cables. You'll also require two spare initiating zones and unused alarm/trouble relay contacts in each common control. Mark each five conductor cable end with "FA Interconnect-A" and "FA Interconnect-B" respectively. At the designated "B" panel, remove the end of line resistors from the two spare zones. The fire alarm should indicate a "trouble" condition on both zones. Take the "A" cable and connect the red and black wires to the first spare zone (this will become "A Panel Alarm"). Connect the blue and brown wires (of the same cable "A") to the second spare zone (this will become "A Panel Supervisory"). Reserve the green. Now connect the "B" cable red and black wires to the "common" and "normally open" terminals of the free "alarm" relay. Take one of the end-of-line resistors you removed from the "A" panel spare initiating zone and connect one end to the "common" terminal of the free "trouble" relay. Connect the other end of the resistor to the "normally closed" terminal of the "alarm" relay. Connect the "normally open" terminal of the alarm relay to the "normally closed" terminal of the "trouble" relay with a short piece of wire. Take the blue and brown wires from "B" cable and connect them to the "common" and "normally open" terminals of the "supervisory relay". Connect the second "A" panel end of line resistor between the "normally open" and "normally closed" terminals of the same "supervisory relay". At the designated "A" panel, the fire alarm should indicate a "trouble" condition on both "spare" zones (you have relocated the end-of-line resistors to the "B" panel). Take the "B" cable and connect the red and black wires to the first spare zone (this will be designated "B Panel Alarm"). The zone trouble will clear when "B" panel is restored to normal "trouble free" condition. Take the brown and blue "B" wires and connect them to the second spare zone ("B Panel Supervisory"). This zone trouble should clear. Now take the red and black wires from designated "A" cable and connect them to the "common" and "normally open" terminals of the free "alarm" relay. Connect one of the "B" panel end-of-line resistors to the "common" terminal of the the "trouble" relay. Connect the other end of the end-of-line resistor to the "normally closed" terminal of the "alarm" relay. Connect a short piece of wire between the "alarm" "normally open" and "trouble" "normally closed" terminals. Connect the remaining "A" cable blue and brown wires to the "common" and "normally open" terminals of the "supervisory" relay. Connect the last "B" panel end-of-line resistor between the "normally open" and "normally closed" terminals of the same relay. NOTE: This is a suggested method that ensures both fire alarm systems monitor each other for "trouble", "supervisory" and "alarm" events. In this example, a common "trouble" (i.e. zone fault) on one panel will result in a zone fault on both. The "originating" panel will have two zone faults in this instance. As long as the wiring between the two panels remains intact an "alarm" condition will always over-ride a "trouble" (Additional zone programming may be required). Older panels may not be capable of providing a separate "supervisory" output but it's important that both common "trouble" and "alarm" conditions are shared between them. Both panels should now be trouble free. If they're not, check that you've connected everything as noted above. If the terminal blocks on either panel's "alarm", trouble" or "supervisory" relays are of the "unpluggable" variety, removing any one block will cause a "trouble" condition to appear on both panels. What do you do with the two pairs of "green" wires left? Terminate them to the respective panel ground, of course. Resetting after an alarm event is fairly simple. Most modern panels allow you to "bypass" or "disable" the alarm relays. You'll have to do this on only one of the panels (the one that initiated the alarm). Reset the "follower" first, then come back to reset and re-enable the alarm relay on the initiating panel. Don't forget, your work may require you to pull proper permit(s) (check with your local jurisdictional authority) and must be verified to CAN/ULC-S537! Believe it or not, I get asked this question a lot (it's often phrased a little differently though). When a building owner decides to upgrade the fire alarm system, a number of code provisions and requirements will automatically "kick in". The Fire Code (Provincial or National) doesn't dictate installation requirements. It also doesn’t mention the Standard for Verification of Fire Alarm Systems (CAN/ULC-S537), so essentially transfers no jurisdictional authority. That falls under the auspices of the Building Code as well as CAN/ULC-S524 (Installation Standard for Fire Alarm Systems). On an existing building, however, the local fire authority does maintain jurisdiction, and will usually require you consult with them so that they can ensure appropriate measures are taken to safeguard the public who may be using the building while you’re engaged in your work. The short answer is, YES. Any devices you install will have to meet both of the aforementioned requirements, but in the case of a voluntary upgrade, additional provisions may also come into play. For instance: Some municipal regulators will allow a straight equipment swap without regard to proper detector spacing or placement. You'll have to check with your local authority. You can also review an example of what the City of Vancouver has to say on the subject in their Bulletin 2006-004 BU/EL. Can end-of-line resistors (for multiple circuits in a room or area) be mounted in one box? What's the maximum mounting height for an end-of-line resistor plate? Most definitely NOT! CAN/ULC-S524 stipulates that the fire alarm system must be serviced by a dedicated circuit. Many technicians (including those that are factory trained on the subject equipment) feel that a tie-in to the fire alarm AC circuit is an acceptable means of ensuring the power to the annunciator heater is not inadvertently compromised. This is not the case! I have seen a number of transformer failures where the secondary windings have “opened” without affecting the primary side and thereby tripping the breaker (some transformers may even employ a fused secondary). The proper way to monitor power to the annunciator heater is through an appropriately rated low voltage relay connected to the secondary output (preferably located inside the annunciator enclosure in order to supervise the wiring to the heater as well). The fire alarm system can supervise a normally closed contact on the relay (which would trigger “open” – or show as “normal” when energized) through a latching supervisory input on the common control. You could parallel this connection to the same circuit monitoring the building’s sprinkler heat trace if you’ve run out of available zones (just make sure you make the appropriate change to the zone descriptor). Special NOTE: If you come across a fire alarm control that has a transformer (other than the systems primary power supply transformer) installed and which would invariably be paralleled to the system's main AC bus, you must RED TAG the panel. An "after market" installation of this type violates the ULC listing on the panel. Inspector's Tip: If the power to the annunciator heater goes down when you trip the breaker for the fire alarm system, the installation is in violation of ULC/CAN-S524. Most modern fire alarm common controls manufactured today utilize common "on board" relay contacts that are rated at 24 volts DC. They are designed to interface with a fire alarm communicator for offsite monitoring of trouble, alarm, and supervisory conditions. In many instances, you must provide additional relay contacts to handle things like fan shutdown, fire dampers, etc. 110VAC door holders - Must utilize a 24VDC relay contactor that is triggered by a relay on the fire alarm's common control. Under no circumstances should you run the 110VAC for the door holder into the common control cabinet (although there are a number of older systems out there in which this was perfectly acceptable, electrical codes have changed). You must install the relay contactor into a separate box and ensure you maintain a physical separation between the high voltage and low voltage terminals. IMPORTANT! The door holders must utilize a 110VAC source that is separate from the fire alarm system. 24VAC door holders - Must utilize a 24VDC relay contactor that is triggered through the fire alarm's common alarm relay as well. You can install a relay block into the common control cabinet, but the door holders must be powered by a 24VAC source that is independent of the fire alarm system. Ensure that the cable entry for the 24VAC into the fire alarm common control enclosure complies with the manufacturer's instructions for non-power limited wires. Signal Circuit Relays - For retrofit installations (where it may not be possible to run wires all the way back to the common control), Edwards (GE Security) manufactures the only UL/ULC listed signal (NAC) circuit relay module for use on any conventional supervised signal (NAC) circuit. The unit is listed as a "6554 Series Fire Alarm Relay". The relay contacts are rated at 120VAC or 30 VDC, 5 amps inductive, 3 amps resistive. The unit mounts inside a standard two gang (4x4) deep box and comes complete with a appropriately labelled stainless steel cover. You must exercise caution when employing this relay to trip anything other than a door holder. Most new signal appliances don't ring continuously, but are set to pulse temporarily, and some are programmed to silence manually. When either of these circumstances occur, the relay will "follow" the operation of the NAC circuit (in which case things like fan shutdown, elevator recall, fire dampers may not function in the manner required by code). There is a "workaround" for this however. You can employ a latching relay contactor on the circuit. This will require the operator to manually reset the device once the fire alarm system has been restored. NOTE: If you're going to be employing a remotely mounted latching contactor, please ensure that appropriate instructions for resetting the circuit are posted on the fire alarm control (and/or remote annunciator) and that those instructions also include the location of the modules used to perform the required function. How many sprinkler tamper switches can you terminate to a single initiating zone on a fire alarm panel? The magic number is set by your local AHJ, applicable building codes, and standards but averages around eight. Most AHJ's would like to see separate annunciation for each switch or valve within a common sprinkler room and this is often possible with an addressable system panel's liquid crystal display (LCD). At the very least, they will insist on having a separate zone for the back-flow preventer which often utilizes two switches (one on the inlet side and one on the outlet side) or the main water entry valve. You must use common sense when laying out your sprinkler zones and the same applies to the control valves inside a common sprinkler room. Identifying a misaligned valve (or defective switch) can become more time consuming when they're common to a single zone. NOTE: NFPA 72 allows for the connection of up to twenty (20) supervisory devices on a single conventional input circuit. Can you review the relevant codes regarding installation of in-suite signaling appliances and signal circuit fault isolation devices? The British Columbia Building Code (BCBC) reflects a good deal of the Canadian Building Code with a few "twists" here and there (usually for the better). In Vancouver you also have to deal with the Vancouver Building By-Law (VBBL). Then there's CAN/ULC-S524 (The Installation Standard for Fire Alarm Systems). Let's examine some of these codes. Section 3.3.1.5 of CAN/ULC-S524-01 (referenced by both the 2006 version of BCBC and the 2007 version of VBBL), states that "opens" or "ground faults" on one circuit shall not interfere with the operation of other circuits in the same system. Clearly, the intent of the authors of this section was to preserve the functionality of the system as a whole even if one device (or circuit) was compromised by either of the forgoing fault conditions. This becomes more complicated when it involves signaling appliances located in a suite. 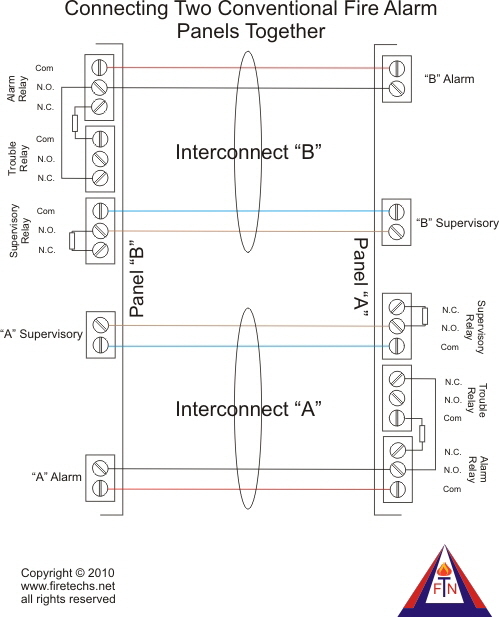 The BCBC 2006 had relaxed the requirement to employ isolator modules on signal circuits serving residential suites as long as a Class "A" loop is employed and the circuit servicing the suites is separate from the one serving the common hallways. An "open" anywhere in the loop will still allow the other signaling appliances on the same circuit to sound. On the surface this is considered "better practice" as an individual would have to compromise all of the buzzers/speakers in his suite to effectively silence any alarm or announcement. If, for instance, he just removed one, any others in the same suite served by the Class "A" circuit would still be fully functional. Unfortunately a "short" condition on the circuit will compromise the entire circuit unless isolators are employed. While BCBC 2006 and the 2001 version of the Fire Alarm Installation Standard doesn't take this scenario into consideration, the VBBL (2007) does. However one interprets this, the imperative in any fire alarm system design demands survivability of the signaling means. Vancouver has been a leader in many Canadian communities in addressing this very important issue. I believe it is "good Engineering practice" to ensure a Life Safety System remains as secure from compromise as we can make it. Clearly, suite isolators should be utilized to ensure the proper functioning of the fire alarm system. You may wish to read a bulletin issued by the City of Vancouver which clarifies their position on the subject HERE. We interpret this question to mean: Can you run fire alarm wire and security alarm wire in the same wire raceway? It’s not common practice for security alarm installers to “mess with” other wiring that’s already in place in a building. That’s not to say that I haven’t seen lots of security wire tie-wrapped to existing conduit runs (or even run alongside the TV cable guy’s wire). Current Electrical Code doesn't allow you to mix the two in the same raceway, however. Keep in mind that many fire alarm systems sold today have the ability to provide zones and circuits programmed for building security components and the new mass notification technology will more than likely result in some significant changes to the Codes on both sides of the border. Always follow good wiring practice when installing/running cable! Who has final authority to accept a fire alarm system installation? The answer to this question can be abbreviated into three simple initials: A H J (short for the "Authority Having Jurisdiction"). In Canada, on new installations, that is the Building Inspector, the Electrical Inspection Authority (or a combination of both). On renovation/upgrades, it's the municipal Fire Chief (usually in co-operation with the Electrical Inspector). All of these agencies however, rely on one individual's report and written comments before an occupancy permit can be issued. On new installations, not even the Design Engineer will sign off without this all important report. The onerous task of determining whether-or-not a fire alarm system (or a component added to it) meets all the installation and performance criteria is the trained professional technician performing the Verification. This individual is the acknowledged expert upon which everything hinges. He is the one charged with ensuring that all aspects of the installation meet the code requirements, applicable standards, and the manufacturer's testing criteria. The verification technician's job is pretty cut and dried. There is no "grey area" in any of the codes or standards that reference a fire alarm system installation. As a verifying authority, it is extremely important for the technician to understand this. No AHJ will dispute your decision to reject an installation that doesn't conform to the standard regardless of whether an Engineer has "designed" it that way, or a municipal "plan checker" has accepted it. Hopefully you will have had an opportunity to discuss what you perceive are issues that may hinder your acceptance of the system well before the final nail is driven and the painting completed. It is for this reason I have always advocated a verification agency gets involved at the start of a job (even as early as the plan acceptance process). Nobody likes "surprises" at the end of a job. Not only can they be costly in terms of "correction", the delays they represent could wind up penalizing the contractor. Additional information can be found here and here! What's the code requirement for battery backup in a fire alarm system that's tied into a building's emergency generator? Canadian relevant codes/standards are CSA C282, CAN/ULC-S524-06. The answer to this question isn't as straight forward as it would seem. CAN/ULC-S524 accepts a Listed emergency power generator as long as it can provide the requisite twenty-four (24) hour stand-by (or supervisory) current and then power they system in "full alarm" for the time required as it applies to the building's height and occupancy class. This means that it would be perfectly acceptable to provide only enough standby battery capacity to power the system during the "start-up" and "full power transfer" phases of the generator. That's the legal code requirement IF certain other criteria are met. These include the fact that the generator must be monitored for "trouble" and "operation" by the fire alarm system and that the equipment must be listed/certified by an acceptable agency and be installed, maintained and tested in accordance with the code requirements and the manufacturers instructions. The forgoing represents the "correct" answer to the question but let's not stop there. Can you depend entirely on this method? There are a number of other considerations that must must be factored into this answer which often creates the confusion people encounter when they get different interpretations from individuals that represent the various agencies and stake holders involved. Some will go strictly with the Code/Standard requirements while those of us in the LIFE SAFETY profession tend to go with something called best practice. You'll often see these two words used when a particular Code or Standard lends itself to more than one interpretation, and you'll also see them used when a question has more than one right answer. Best practice simply means utilizing the best, safest, and most effective method (or solution). Let's look at some basic facts. An engine driven generator comprises a myriad of moving parts that are all required to work in concert to achieve the end result. A failure of any one part could mean that either the generator won't start, or it will fail to deliver the rated power to the transfer switch. The transfer switch is another mechanical device in the line to the emergency power distribution centre. The generator depends on a source of fuel which could comprise a large storage tank for diesel fuel or a direct connection to a local gas main (if the engine has been set up to use natural gas). The quality of the maintenance, age of the equipment, serviceability of the charging system, starter batteries, quality and quantity of available fuel... The list goes on. A breakdown anywhere in this chain will result in the failure of the emergency power system to deliver the the required standby capacity stipulated by the Standard. The clincher in all of this is that most emergency power systems (unless they are in a health care environment) only provide sufficient capacity to meet the Building Code requirement of “at least two hours” - Section 3.2.7.9 of BCBC 2006 - “Emergency Power for Building Services” (other Provincial Codes should have similar wording). The standby and alarm current requirements for the fire alarm system is seldom factored into the equation. Best practice would favour a simpler solution and eliminate the assumptions you are often forced to make surrounding the proper care, maintenance, and operational readiness of the generator (a “trouble free” annunciator should never be the basis for assuming the generator will work). The standby battery - properly sized - affords the most cost effective, simplest, and SAFEST method of ensuring the fire alarm system meets the requirements of the standard. Does the fire alarm circuit breaker have to be painted red and "locked"? In many cases this is a jurisdictional requirement. There is nothing in either the Provincial building code or CAN/ULC-S524 (Installation Standard for Fire Alarm Systems) that actually stipulates it must be painted red. You have to look in the Canadian Electrical Code to find it (specifically Rule 32-108). The fire alarm system's circuit disconnecting means must be easy to identify and it must be locked in the “on” position. There are several reasons for this, the most important being that we don't want it inadvertently turned “off”. An Electrical Engineer is insisting on locating conduit entries for the common control data, communication, and addressable field devices into an area of the cabinet that the manufacturer's installation instructions stipulate is reserved for non-power limited wire (AC and municipal tie). Can you review the requirements of CAN/ULC-S524 (and relevant codes) and advise? The manufacturer's installation instructions are presented in the documentation accompanying the fire alarm panel and usually references diagrams indicating specific wiring entry points and termination procedures. The concern here is that power limited wire will enter an area of the common control which has been designated for non-power limited wire. It is doubtful that a panel terminated in this fashion will pass the verification. NOTE: It's been pointed out to me that Canadian Codes do not recognize "Power Limited Circuits". While this is true, I believe that it's considered BEST PRACTICE to follow the recommendations of the manufacturer (or the specific instructions presented in the relevant wiring and installation instructions) when determining your wire entry points and common control wire routing. What you should do: Suggest to the Engineer that wire entry points into listed control equipment must be in accordance with the manufacturer's installation instructions. I would suggest that you do this IN WRITING and back it up by attaching the relevant sections of the Code/Standard and any other supporting documentation (i.e. copy and include the pages from the installation manual that indicate the proper cable entry locations). This way, when the doo-doo does hit the fan, nothing should wind up sticking to YOU! Keep in mind that best practice may suggest you consider adding additional initiating zones along with those extra detectors (particularly if the job involves new construction). Not only will this help you troubleshoot a potential problem, the responding authority will have an easier time as well. As a matter of fact, there is! It's manufactured by GE Security/Edwards and it's listed as a "6554 Series Fire Alarm Relay". The relay contacts are rated at 120VAC or 30 VDC, 5 amps inductive, 3 amps resistive. The unit mounts inside a standard 4x4 deep box and comes complete with a appropriately labeled stainless steel cover. NOTE: You must exercise caution when employing this relay to trip anything other than a door holder. Most new signal appliances don't ring continuously, but are set to pulse temporarily, and some are programmed to silence manually. When either of these circumstances occur, the relay will "follow" the operation of the NAC circuit (in which case things like fan shutdown, elevator recall, fire dampers may not function in the manner required by code). There is a "work-around" for this however. You can employ a latching relay contactor on the circuit. This will require the operator to manually reset the device once the fire alarm system has been restored. In this scenario, appropriate instructions must be posted on the fire alarm control (and/or remote annunciator). What's "the Code" say about monitoring sprinkler valves and systems (generally)? This question has been reworded somewhat from the one entered into Google which was: “What's the fire code to monitor tamper switches grouped together?”. I hope I've interpreted it correctly. There are several Sections that cover the monitoring of sprinkler devices (most of which are derived from the Canadian Building Code so the section numbers should be identical across most Provincial/Territorial Jurisdictions). The simple answer is: "Someplace warm and dry". Fire alarm panels are usually located in a central INDOOR location so that the building occupants and first responders can easily access the various control functions such as exhaust and pressurization fans, elevator recall, door holders and release mechanisms, etc. In large buildings, it helps to have this at or near the main entrance so that the TROUBLE, SUPERVISORY, or ALARM information can be quickly discerned and the appropriate response or action(s) determined. Many common controls are located in the main electrical room in which case they would employ some form of remote annunciation at or near the structure's main entrance. In all cases, access to the control functions must be restricted to authorized personnel through the use of cabinet locks or (for some of the higher level functions) pass codes. The answer to this question is in the instruction sheet that usually comes with the unit. This also includes a wiring diagram which identifies the terminal connections for you. If you're adding an isolation module to either a Chubb/Edwards (formerly GE Security) or Simplex addressable system SLC (or data) loop, it will require a change in the software to properly identify the unit. Mircom, Secutron, FireLite, Notifier, and Potter utilize "dumb" loop isolators. That means there's no "smarts" in them, just a simple relay and circuitry to identify a "low" or "short" condition on the output. Notification (bell) circuit isolator modules are also "dumb" devices and don't require any special programming to install. Remember that (in Canada a least) the addition of any device on a circuit will trigger the requirement for a Fire Alarm Verification Inspection! In Canada, the National Building Code as well as the BCBC appears to be fairly silent on this issue (I'm pretty sure that other Provincial Codes don't specifically address this issue either). You have to go to CAN/ULC-S524-06 (Standard for Installation of Fire Alarm Systems) for the answer. Are there exceptions? Yes. In-suite sounders are often found on fire alarm systems that employ bells or gongs in the common area spaces of a residential building. The interpretation most Verifying Agencies place on this section is that you can't "mix" alarm sounds within a building's public spaces (you can't put up horns with bells in the hallways, parkades or common areas). It's interesting to note that a larger number of Architects and Design Engineers are moving more towards employing horns and non-silenceable buzzers in public corridors and areas instead of the standard red fire bell. Not only do they meet (and often exceed) the required sound pressure levels, they're far more attractive and less prone to tampering. If you wish to change out a buildings existing bells (upgrade them to horns/buzzers), you should engage in a consultative process between the local AHJ and a Design Engineer (who will ensure the spacing requirements and sound pressure levels meet the current Installation Standard). What is the maximum height for a fire alarm pull station in Vancouver? CAN/ULC-S524-06 is the Standard for Installation of Fire Alarm Systems and Section 5.2 is entitled "Manual Stations". Provincial Building Codes and the Vancouver Building ByLaw (VBBL) both reference this Standard so, in Vancouver (as well as the rest of Canada). We’ve produced a handy Field Device Wiring Guide for you to reference that also covers the changes adopted in the recently published 2014 version of the Installation Standard. What if you're replacing an existing manual station that's not installed to the current standard? In many buildings more than thirty years old, some manual stations are of the old style disk type which aren't even ULC Listed. In many instances, these units are often found on equally archaic three-wire unsupervised twelve volt fire alarm systems. None of these installations could be termed "deficient" as they probably met the Code requirements of the day. Replacing a defective manual station (as with any other similar fire alarm device) is a maintenance issue and not an installation one. NOTE: In older buildings, you can't do much about the mounting height (without extensive cosmetic damage to the wall), but you can do something about bringing the fire alarm system more into compliance by recommending the owner change out non-listed bells and manual stations with units that are ULC Listed. Such a recommendation should be noted in the "Comments/Remarks" section of your annual test report. It may be prudent for you to also submit a copy of your report to the local Fire Department's Fire Prevention Office who may follow-up on it with a site visit to determine the suitability of requiring the owner to (at least) update the affected devices. I'm an electrical contractor working in Vancouver on a fire alarm upgrade. We're installing an addressable fire alarm system from a well-known manufacturer with a local office. The subject of wiring for devices attached to the SCL loop as well as the remote annunciator required some clarification from the local rep, who advised that it was perfectly acceptable for us to use non-shielded cable for both. The rep went on to say that since the run to the annunciator is so short, we could even use a single five conductor 18AWG unshielded fire cable to terminate both power and data runs with no difficulty. My question is: Will this pass the verification test? The installation manual calls for twisted shielded pair to be used on the RS-485 communications loop for the annunciator. Whenever I get asked this question (and whenever I SEE something like this), I see RED! A manufacturer's REP (or technician) counseling someone to deviate from the installation instructions should be (in my considered opinion) automatic cause for their immediate dismissal. What troubles me even more is the possibility that the system may be verified by the same individual that counseled the deviation in the first place and that, very often, the local branch office isn't aware of (or - in the worst possible case - might even turn a blind eye to) this dangerous practice. If you choose to follow the rep's advice, you may be exposing yourself to an unacceptable level of personal liability (try to envision the robot in the series "Lost in Space" frantically waving his arms and shouting: "Danger Will Robinson! Danger!"). The installation instructions forms part of the submittal required by ULC of the manufacturer in order to certify the equipment for use in Canada. Deviations from these instructions cannot be authorized by anyone other than ULC (and only after the subject equipment has been resubmitted for testing under the specified condition). Now some readers may be ready to point out that the Authority Having Jurisdiction could authorize such a deviation, but I have yet to see this happen (in my almost thirty years in this business). This kind of thing amounts to (at the very least) a "triple whammy" as you would be violating two (2) major ULC Standards and Section 3.2.4.5 of BCBC (2006) (in the case of Vancouver it's the VBBL). “... Some Manufacturers may have requirements specified in their wiring installation drawings which may differ from those stated below and, where they differ, the manufacturer's requirements should be followed: ...” (underlined for emphasis). Exposed fire alarm cable (free air run) isn't allowed by any modern code or standard. This doesn't mean that it's not "out there" (such an installation may have met the "requirements of the day" on older installations). Painting fire alarm cable will alter it's tested flame exposure characteristics and may even contribute to more rapid spreading of a fire. In fact, you really shouldn't paint any exposed wiring in a building (for the same reason). Fire alarm cable must be protected from physical damage and as such is always run inside rigid EMT conduit or flexible "BX". You can paint either with no appreciable adverse affect. In Canada, the newest edition of CAN/ULC-S524-14 requires any circuit classified as a riser to be run as a Class “A” circuit. The edition of the Standard (-06) specified in NBCC 2010 is fairly mute on the subject except where it comes to Data Communication Link risers (which are also required to be run as either Style “A” or Style “C”). There are some pretty strict rules about how a riser is installed and what measures you have to employ to meet the test of system survivability. These have to do with maintaining proper fire separations, fire stopping, routing of cable, etc. For the purpose of this FAQ, we will defer to another reference mentioned in the “06” version of the Installation Standard and that is “good engineering design”. Any riser serving multiple floor areas of a building must be run in a Class “A” configuration with isolators. For more information on this, please refer to our Special Report on Isolators. In Canada, you can only use ULC® listed devices on a ULC® listed fire alarm panel. Conversely, you can't use a ULC® listed device on a UL® listed fire alarm panel in the United States. The "cUL®" mark is the only one that is recognized as having "no barrier" for use in either country. Using a non-listed device on a listed fire alarm panel is strictly forbidden and would invalidate the ULC® (or UL®) listing. NOTE: If your employer is sourcing fire alarm product from an agency outside of your country's testing jurisdiction for use on a listed fire alarm panel, you cannot install it, and you cannot validate such an installation by accepting (or passing) it. Neither the National Building Code or the Provincial ones stipulate exactly WHERE to mount fault isolation modules. For the answer to this question, you have to reference CAN/ULC-S524-06 (Standard for Installation of Fire Alarm Systems), specifically Section 5.14 which is titled “Fault Isolation Modules”. The way I interpret this clause in the Standard is that you can mount the isolator IN the T-Bar, but not ABOVE it for the unit to meet the requirement of being “visible and accessible at all times”. There are some additional requirements as well (the least of which is the test to meet the required fire rating which most T-Bar ceiling systems fail to do). It's best for you to review all the clauses in this section of the Standard before you proceed with the installation. Inside most fire alarm control panels, manufacturers stipulate that you must maintain a 2.5" (10cm) separation. Most manufacturers provide conduit entry points for AC power and field wiring for signal, indicating, and data circuits. If the conduit entries haven't been die cut into the back-box, then you'll find the necessary details in the installation manual. It's important for any installer to familiarize him/herself with the manufacturer's installation guide to ensure optimal performance of the equipment they're setting up. You can also reference another FAQ on this subject HERE. Definitely. You are limited to the fill percentage for the EMT so you have to keep in mind that if you're pulling 12AWG wires (which most manufacturers recommend for AC Power on a fire alarm system), you could wind up a little "tight" if it's only 1/2" conduit that your working with. Remember, AC power for the fire alarm system must be supplied by a dedicated circuit. If you're installing a ULC listed communicator it must also be powered by a dedicated circuit (that is independent of the fire alarm system's disconnecting means). Most building contractors prefer not to run the risk of having to replace a newly installed smoke/heat detector or suite buzzer because a painter decided the colour of the device didn’t quite match the decor. The wiring connection referred to in the Standard would likely be located OUTSIDE of the attic space (particularly if the “Alarm Point Location Meter”, mentioned in the PDF, is utilized) which would make the testing convenient, but could encourage the omission of the visual aspect of the inspection. Keep in mind that in a sprinklered building the attic spaces are supposed to be protected. In this instance, it would likely be a dry sprinkler system (or a wet one employing an antifreeze loop), both of which would (should) annunciate separately at the fire alarm control panel. “1) Fire alarm systems, including the voice communication capability where provided, shall be installed in conformance with CAN/ULC-S524, ‘Installation of Fire Alarm Systems’. The form you’re looking for is actually part of another Canadian Standard, called the Verification of Fire Alarm Systems (CAN/ULC-S537). The present version is the “04” one which you can download on our Forms Page! This has been amended to include devices that are mandated by the “06” version of the Installation Standard. Wow! Interesting question! Let’s explore the difference between the two system types this question actually mentions. First and foremost, there isn’t really one. Most system manufacturers research, design, engineer, and produce their own equipment (some, like Honeywell, Mircom and Potter) do final assembly here, but the circuit boards and constituent parts are actually manufactured elsewhere. Honeywell has facilities in Mexico, Potter equipment is largely manufactured in Japan (where all the really cool stuff comes from), and Mircom’s FX-350 utilizes field devices manufactured in England (God Bless the Queen!). System Sensor manufactures field devices and partners with various fire alarm panel manufacturers to produce active devices which utilize that company’s proprietary communication protocols. The essential difference between what’s termed proprietary and what’s not, is whether the manufacturer maintains a local (branch or regional office) and staffs it with factory trained technicians. For example: SimplexGrinnell, Siemens, Chubb-Edwards, and Mircom all fall into this category. On larger distributed type systems (often ones that employ Emergency Voice Communication and which may involve very complex programming), having a manufacturer employed factory trained technician working on the equipment is desirable (and essential to the proper functioning of the system). Invariably, the larger systems also have a greater cost (both for equipment and service). Chubb-Edwards, Mircom, and Honeywell (which markets the Notifier, FireLite, and Silent Knight products) also sell panels and equipment that’s more open-ended when it comes to programming and service. This results in the equipment being more readily accessible through wholesale distribution and through designated dealers (the latter of which receive the benefit of more in-depth factory training). What you should really be asking here is: How does my cost of service for equipment purchased from a manufacturer that maintains a local branch office (and factory trained technicians) compare to choosing more open-ended equipment? Manufacturer’s Office: Hourly charges as high as $130.00 and surcharges (a “truck charge” like the one Chubb-Edwards levies comes to mind). For actual service of the higher-end equipment (or material changes/additions that might involve reprogramming), you’re pretty well stuck (locked in to using their branch office). For annual service and testing, you’re free to use any fire equipment service provider you like, though. Open Ended Equipment: Competition dictates the service rate (and any surcharges can usually be negotiated). There are actually two potential scenarios presented by this question. In the first, the device being terminated is the last device in the circuit, in which case you wouldn’t do anything with the shield (or shield drain wire) except wrap it in some electrical tape so it won’t ever come into contact with the device box ground. The second involves junctioning the wire to continue the loop run to the next device in the circuit. This involves connecting the shield (or shield drain wires) together (in order to preserve the integrity of the shield) and taping them so that they don’t come into contact with the device’s backbox (or ground). Some devices may require you to terminate the shield (or drain wire) onto an appropriately labeled terminal. Follow the manufacturer’s instructions for the specific device you’re installing! None. Fire alarm bells are not considered a part of the elevator, or elevator’s fire detection system. There is usually a bell or audible sounder of sorts which passengers trapped in a stuck elevator can access. This is usually cab-mounted (and not attached to the hoist way). The answer to this question actually depends on the make and model of the fire alarm control panel you’re using. The value of the end-of-line resistor required by the control panel is normally listed in the installation instructions provided by the manufacturer. Please make sure the smoke detector is CROSS-LISTED to the control panel as well (this information is also found in the published manual or HERE)! An Electrical Engineer can pretty well do whatever he wants (as some of the more arrogant ones would have you believe). Would such a deviation from the Standard pass the Verification Inspection? It definitely shouldn’t! You’ll have to purchase another copy from ULC (all versions published after February 2011 include the amendment). You can order one online from www.orderline.com. All copies issued by ULC AFTER February 2011 will incorporate the amendments. The later versions won’t include the amendments as a separate section at the beginning of the Standard, but incorporate them into the body of the Standard. Some slight changes to section numbers are apparent as a result. There are really two answers to this question, and they depend on the type of relay that’s being used. In all applications involving relays installed on-board a common control or that are integral to a field device (such as an addressable relay module or isolator), the relay forms part of a Listed assembly (UL, FM, or ULC). While not individually Listed, the entire assembly (in this instance) is. If you’re using a relay to activate a high current device (e.g. switching AC current to something like a magnetic door holder or fan controller), then the relay only has to be CSA Listed (in Canada). It should also be mounted in its own enclosure to avoid situations where multiple AC circuits that have nothing to do with supplying power to the fire alarm system, could enter the common control. Most definitely! You can utilize any of a number of ULC Listed fire alarm horns on a supervised output circuit as long as you observe the wiring requirements for that circuit, don’t exceed the allowable current draw on the circuit, and don’t “mix” sounder types (bells and horns) within the audibility range of another sounder in the same building. In most instances, modern horn designs actually draw less current than a fire alarm bell and aren’t as prone to tampering so you’re in very positive territory here if you’re recommending the installation of horns to a customer. Interesting question. There isn’t any rule that says you can’t. There are many fire alarm installations I’ve seen where either the supply or return loops of Class “A” circuits share the same raceway as circuits that are wired Class “B”. Some conventionally wired systems will only allow you to program initiating circuits as either Class “A” or Class “B” and you won’t be able to “mix” them (the Mircom FA-1000 comes to mind). Many conventionally wired signal circuits (NAC’s) are often a “mix” of Class “A” and Class “B” depending on what areas of a building they’re serving. Your typical isolator is actually mounted in a double gang (4x4) box that’s installed on a wall (or ceiling). The only time you have to consider the distance from a wall is when the isolator is actually part of a smoke detector base. In this instance, the closest you can mount it (on a ceiling) is at the point where the actual smoke detector is 100 mm (about 4 inches for you Yanks) from the wall. This measurement is to the “edge” of the detector (not the base and not to the centre of it). Installation of any type of fire alarm device should be performed by a qualified electrical contractor (usually in accordance to an accepted electrical plan design). Servicing of any type of fire alarm device should be left in the hands of a qualified technician. Fire alarm bells (in Canada) have to be ULC Listed and compatible for use with a supervised fire alarm control, however where we depart from our American cousins is that the specific bell/sounder isn’t required to be cross-listed to the manufacturer or model number of the common control unit. The back of most fire alarm control installation manuals contains charts which reference specific detectors that have been tested with the unit (it’s called a compatibility index). You’ll no dobut have noticed that, while a UL Compatibility chart for bells/horns is usually provided, there is no similarly structured ULC chart. Sounders installed in an area must have similar sounds (and sound patterns) to each other. Please refer to this FAQ for the answer! Where conductors pass through walls, floors, timbers, or partitions, they shall be installed in raceways or insulated tubing. (2) In all locations, a separation of at least 25 mm shall be maintained between conductors and adjacent metal piping or conducting materials. (4) At connections to fittings and devices or in other cases where it is not practical to maintain the spacing specified in Subrules (1), (2), and (3), the conductors shall be installed in raceways or insulating tubing. 2. It makes it easier to service should the need ever arise in which it has to be replaced. NOTE: Remember to maintain the minimum separation between any Schedule 40 sprinkler pipe and the EMT tube (25mm) and use an approved fire stop compound. That depends on what speaker taps you’re using and the total wattage available for the circuit. Most manufacturers target about 80 - 85% of the available power on the circuit when they’re involved in configuring a system to allow for the possibility of having to add a couple of speakers (or having to tap a number at a higher wattage due to ambient conditions). That depends on the gauge of wire being used between the two devices. The manufacturer’s published installation instructions should be consulted as they will usually include a table that depicts wire gauge versus distance. The manufacturer will also indicate the maximum allowable voltage drop between the panel (or module) and the last device in the circuit (usually the end-of-line resistor). If the circuit is on a “conventional” panel, then NO. If the “circuit” in question happens to be a data communication’s loop (DCL or SLC depending on if you’re in Canada or the United States), then YES, it can. There are, however certain provisions you have to follow (at least in Canada). We outline what they are in a Special Report on the installation of fault isolation modules. Easy! If the system is powered up and in normal supervisory state (not showing any alarms), then use your voltmeter to determine which wire is positive and which is negative. You’ll then have to hook them up IN REVERSE to the terminals on the combination horn/strobe (keep in mind that signal circuits actually switch polarity in alarm). Another way to determine what the polarity is is to check how the wires are connected at the common control, transponder, or booster power supply. Most manufacturers “default” to “alarm active” when labelling the terminal connections “positive” and “negative”. This last suggestion isn’t the best way of determining this as the electrician may have wires crossed over somewhere in the field between the device you’re terminating and the common control or may have been wired up in a completely different colour combination (like red and black of the standard five conductor fire cable) at the common control. A supervisory alert or trouble indication on the tenant’s fire alarm control panel (or transponder) should provide an indication on the mall’s control unit, or transponder, AND at the Command and Control Centre. An acceptable interconnection method is discussed in THIS FAQ. Most definitely. In Canada we employ all the colours of the rainbow (and then some). Everyone is welcome as long as they’re stamped with a CSA mark on the jacket somewhere along with the appropriate voltage and temperature ratings. b) audible signal devices within dwelling units or suites of residential or care occupancy shall be wired on separate signal circuits from those not within dwelling units or suites of residential or care occupancy. In a residential (or care) occupancy with four floors and a parkade, you would need a fire alarm control configured with a total of nine (9) signalling circuits to meet this criteria (two per floor, and one for the parkade). There are additional requirements for signalling devices serving the individual dwelling units or suites. These are presented in this FAQ. - a combination (or all) of the above. Adding a device to any existing fire alarm system will require the services of a licensed electrical contractor who will have to pull various permits required by your local jurisdiction, arrange for a fire alarm Verification (for the completed work), and may have to engage the services of a professional engineer (to both design and sign off on the work). If you’re concerned about the work (or how it might impact the local environment), then you should contact your property manager. That would depend entirely on the building’s construction and the Code requirements for the type of occupancy category it happens to fall under. It’s best to consult with your local Building Official in this regard. He is the final authority when it comes to answers of this type (and may even decide in favour of some sort of fire rating). The answer to this actually requires a reference to the relevant fire alarm panel’s signal circuit wiring chart, an example of which is located on our fire alarm device installation guide. This guide happens to use the wiring chart from a Mircom FA-1000. First, determine the current draw for each bell you propose installing (you can find this information on the device’s specification sheet). Then determine how many bells are on the circuit (and add the ones you’re going to install). Total all the individual currents. This is your total alarm current for the circuit. Check to make sure you’re not more than 75% of the total rated current draw specified by the manufacturer (the Mircom FA-1000 is 1.7 amps). Then determine the wire gauge that’s been used in the circuit. Check to make sure you’re within the distance specified for the current you’re running (it helps to know how the wire’s been run between devices, but if you don’t have that information to hand, you should be able to make an intelligent guess). Don’t forget the maximum run to the last device is the end-of-line, not what you might think is the last bell on the circuit. You’ll notice that it says end-of-line DEVICES. This includes power supervision relays (used in power supply circuits to supervise four wire smoke detectors). There’s a handy guide you can download in our TOOLS section. We’re replacing an old Edwards Custom 6500 system. We’re planning on using a Mircom FA-1000 control and were wondering if the existing building wiring would be acceptable to use. It’s the 20 gauge multi-conductor intercom wiring you frequently see installed in many older buildings and obviously doesn’t have the required rating on the insulation for use on new system installations. Is this acceptable to re-use if all we’re doing is swapping one common control for another, or do we have to pull all new wiring? The wiring is intact (and is NOT the cause of the old system’s failure). As to whether you’re going to need to pull all new wiring (the second half of your question), I’m going to suggest that this should have been discussed with the same authority that issued the permit (and they may require an Engineer to inspect and certify the existing wiring for re-use prior to issuing you with one). NOTE: It would be prudent for the Verifier to note that the existing wiring used in terminating the field devices does not comply with the Canadian Electrical Code, but that it “may have been acceptable at the time of the building’s original construction” (in other words, put the onus on the AHJ to “accept” its use).